LEDs have had a long association with colour, from the advent of visible spectrum red LEDs in the early 1960’s to the ground breaking development of the blue LED by Shuji Nakamura. As soon as blue LEDs became commercially available, lighting manufacturers like Pulsar started to experiment with colour mixing, creating a vast palette of colours from a few carefully chosen light sources. Fast forward to the present day, and LED colour mixing has become the standard for architectural and stage lighting. So why are LEDs so effective at colour mixing? 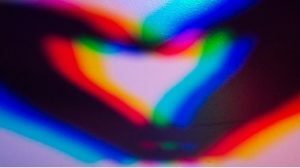 Most light sources produce a broad spectrum of light which has to be filtered out to make specific colours, whereas LEDs are very efficient at making precise specific colours directly from the source. Adding these colours together rather than having to remove large portions of the light spectrum is far more energy efficient, controllable and convenient. Simply by changing the levels of each LED, a massive range of colours can be available. At the most basic level, colour mixing works by combining two different wavelengths of light to create a new colour. 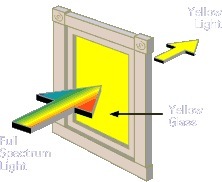 For example, mixing green light with red light will result in a yellow colour. Reducing the amount of green will make the colour mix gradually more orange. This means that the user can easily make any colour that falls between the two mixed sources. Most fixtures designed for colour mixing use at least three colours, aiming to cover as much of the visible light spectrum as possible. RGB (red, green and blue) colour mixing was the first type of colour mixing used in LED fixtures, and is still the most commonly used today. This combination is effective because it makes it easy to achieve a full range of saturated colours; mixing red and green together creates yellow, for example, whilst combining blue and red makes purple. Using more or less of each channel, a continuous range of colours is easily available. However, RGB colour mixing struggles with whites and desaturated colours, and can create multicoloured shadows. 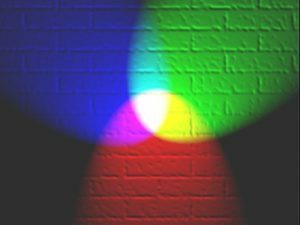 A significant improvement on standard RGB colour mixing, Pulsar’s Chroma range uses Tri Colour technology, mixing the same three colours under a single lens. Our Tri Colour LEDs also use different LEDs than a typical RGB fixture, specifically chosen to provide a richer range of deep colours which are simply not available on most LED lights . As the quality and power of white LEDs has improved, lighting manufacturers have started to incorporate them alongside RGB LEDs, making full spectrum white light and subtle pastel colours available. Drawing upon our expertise and history, Pulsar’s Quad Core light engines use the same carefully chosen LED colours and seamless mixing seen in the Tri Colour products, and introduce a high efficiency, high quality white source, without compromising the intensity of the other colours. Premium LEDs offer exceptional colour quality, colour rendering and efficacy. By using these rather than standardised four colour devices, we are also able to provide a range of different customisation options. As standard, we use a cool white, which is very neutral in colour and mixes well with other colours. However, we are able to provide white light in a CCT range of 2700 to 6500 kelvin, so if your installation requires the warmth of tungsten or the coolness of daylight, Pulsar’s Quad Core light engines can be adapted to suit. Quad colour lighting can also be used in other ways; for example having a dedicated white source makes it possible to illuminate a building in white light for the majority of the time, and then switching to colours for special events, corporate branding or to simply draw more attention. All of this is impossible or very difficult to achieve with non-LED light sources, all whilst consuming more energy and requiring regular maintenance.